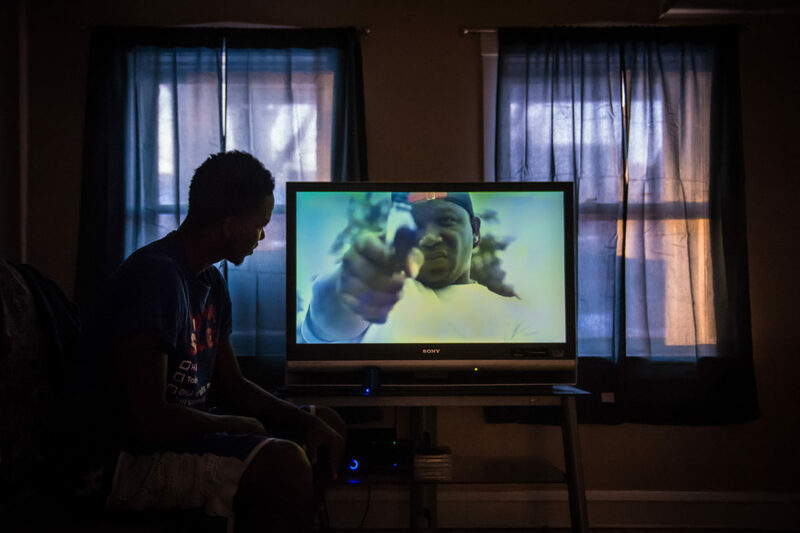 Tavaris watches music video in the basement of his foster parents home. According to Chicago Sun-Times data over 3,500 people were shot in Chicago in 2017. 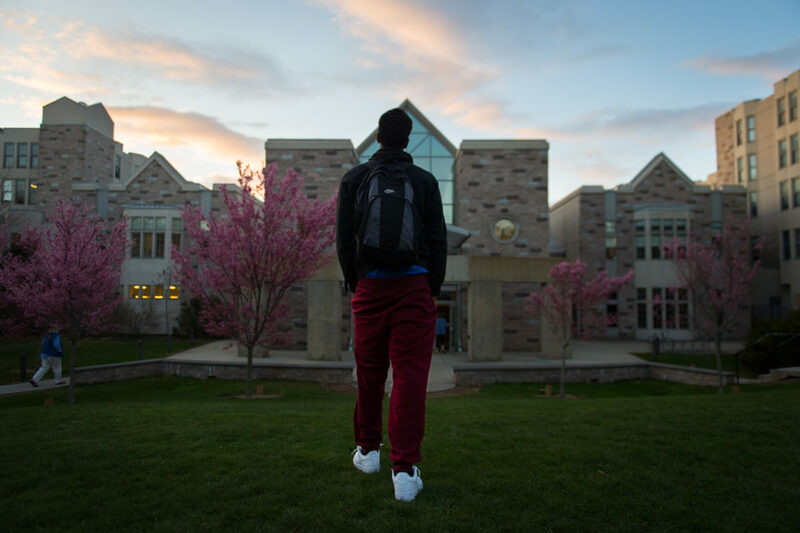 When Tavaris left school after his completing his sophmore year he assumed that he would back in the fall to commence his junior year. 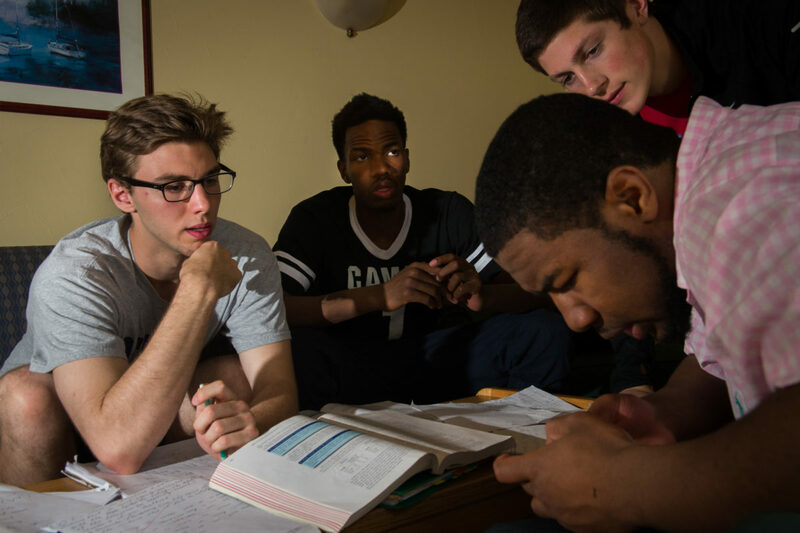 Tavaris Sanders crams just before a final examination in a mathematical thought class with friends. 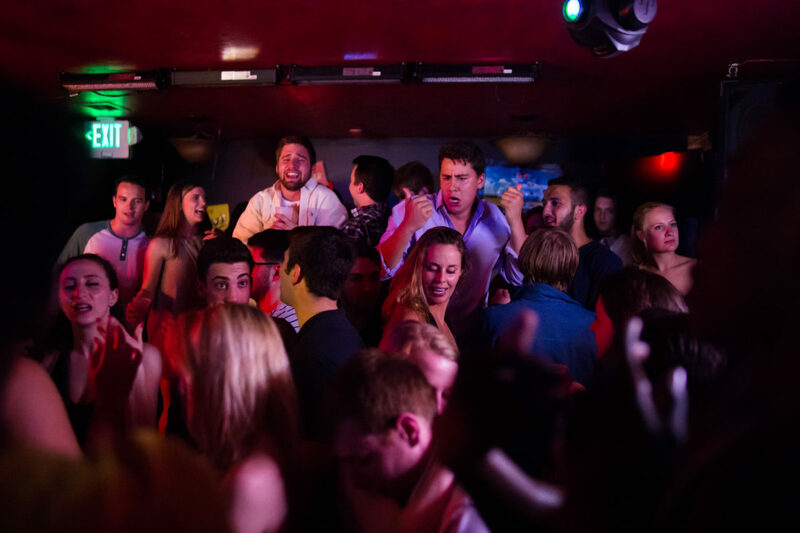 Connecticut College students dance the night away at one of the college bars in New London, Connecticut. 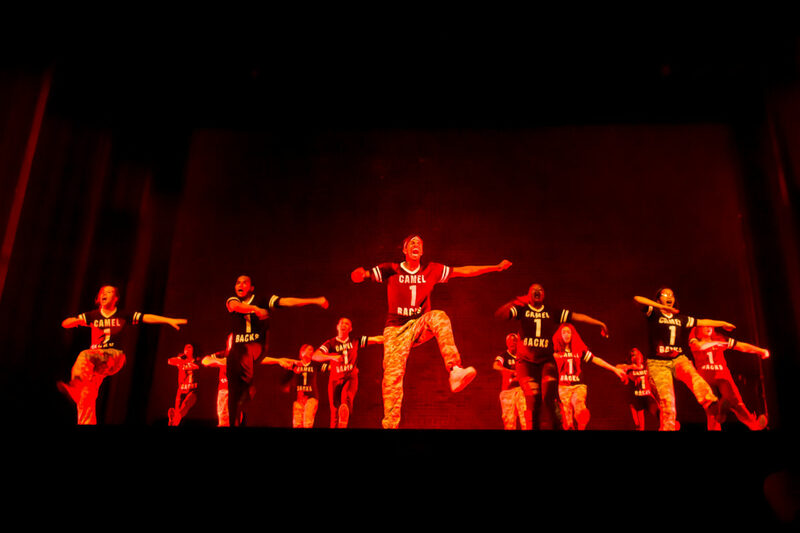 Though Tavaris has always held a passion for dancing he did not drink before attending college and could not relate to the way Conn College students partied. 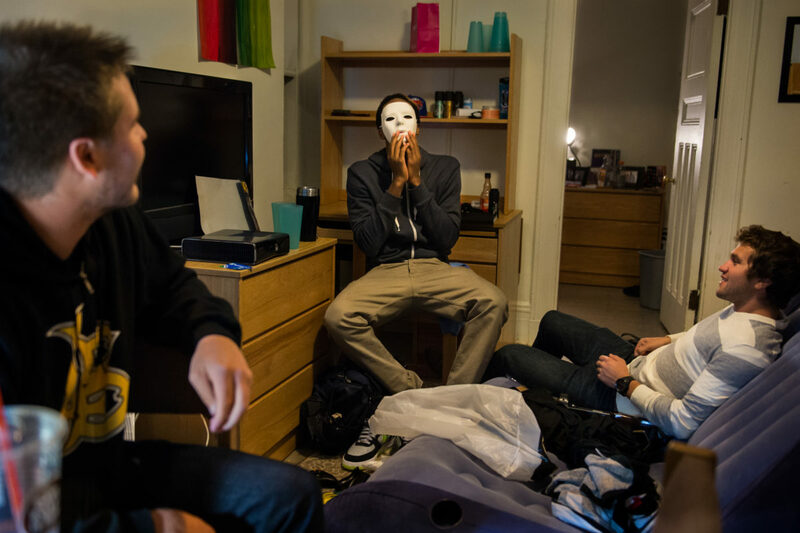 One of Tavaris's friends celebrates his birthday in the dorms of connecticut college. 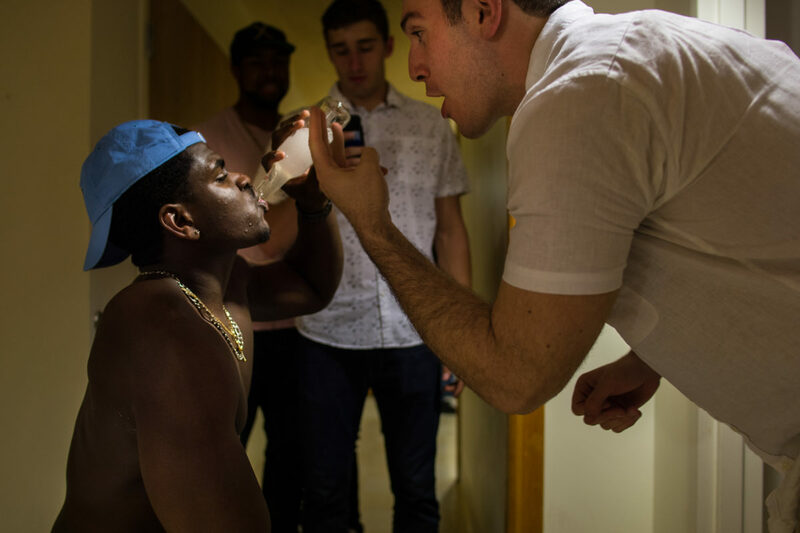 As it was his birthday he had the distinction of being required to chug smirnoff ice on command, a game refered to as "icing" someone. 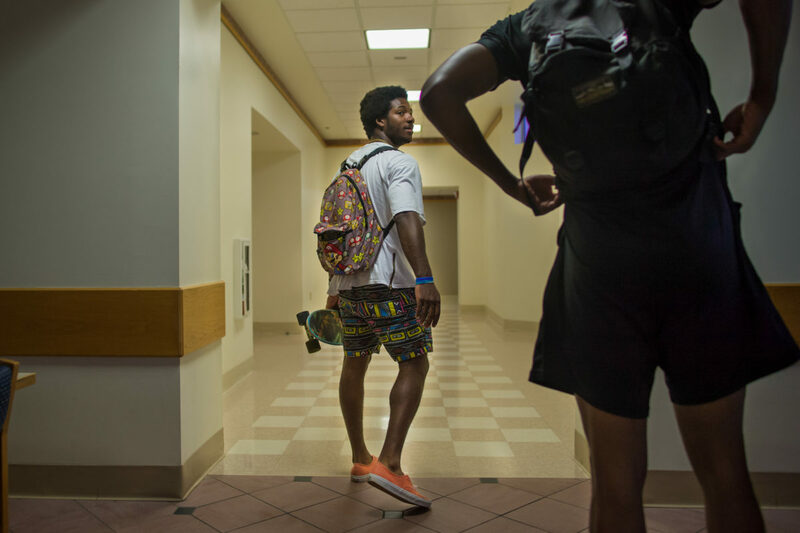 Tavaris, a sophmore at the time, looks at fellow students while passing them in the hallway of his dormitory at Connecticut College. 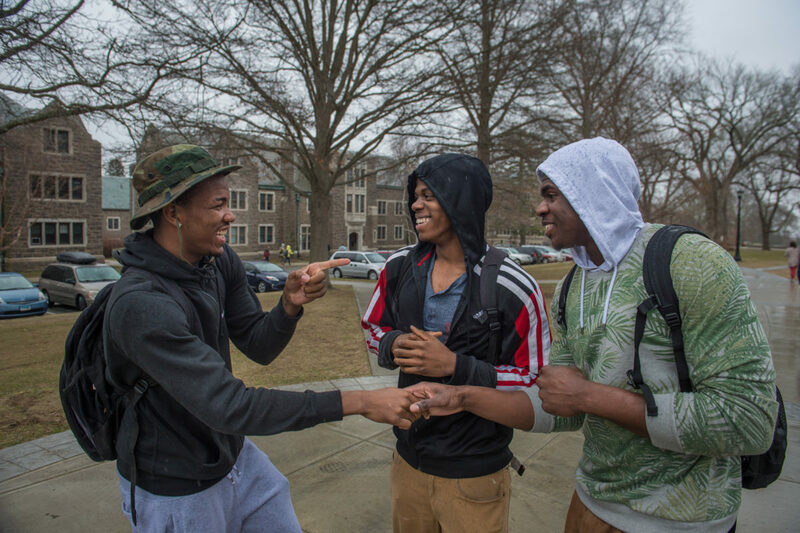 In between classes, as Tavaris traverses campus, he runs into two friend and recounts the antics of the previous night. Tavaris returns home in Chicago after a seeing a movie with friends. 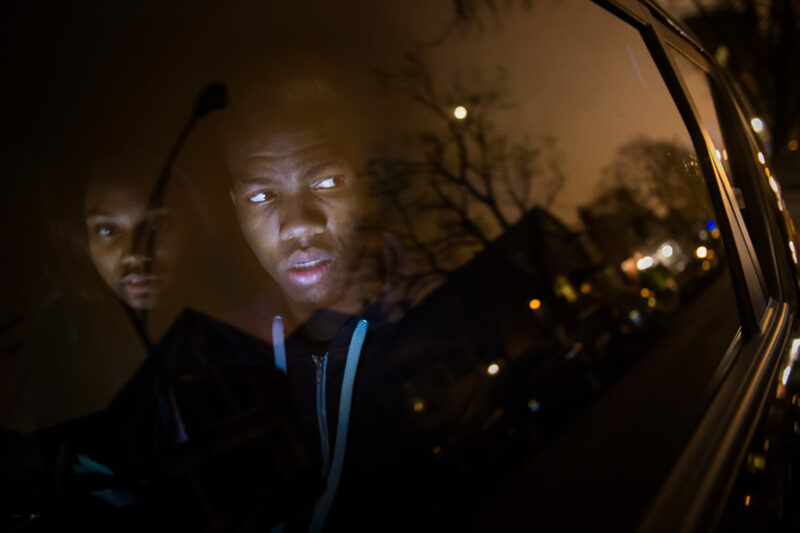 He is cutting through a cull de sac to avoid walking on the more dangerous streets in the West Side of Chicago. “My first objective was to go back home and help those who want to be helped. David Canton [his advisor at Conn College] said, You know, you can't do just that. That's like just offering somebody a book and telling them to read it. You gotta have a plan. Like, you gotta have an organization, have people behind you. So I'm trying to figure out what particular thing I'm going to do to help my people. 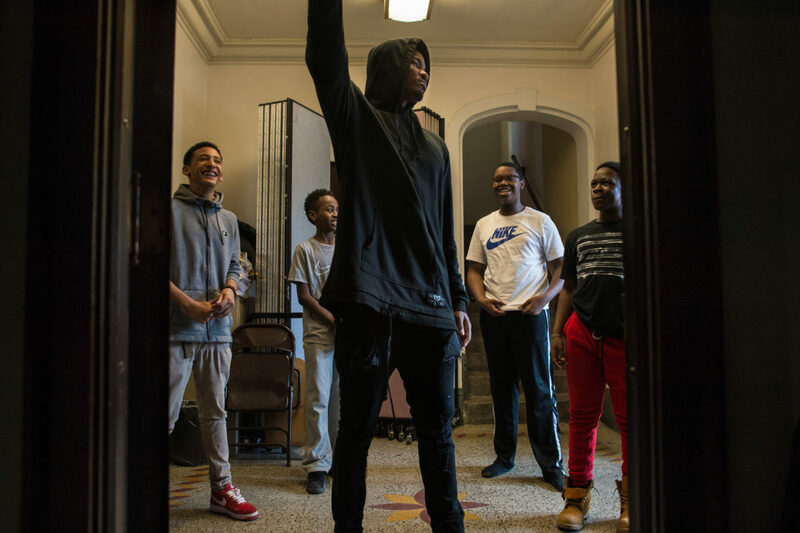 I wanna help people because people helped me throughout my whole life.” Tavaris Sanders helps kids at a local afterschool program by choreographing a dance routine with them. 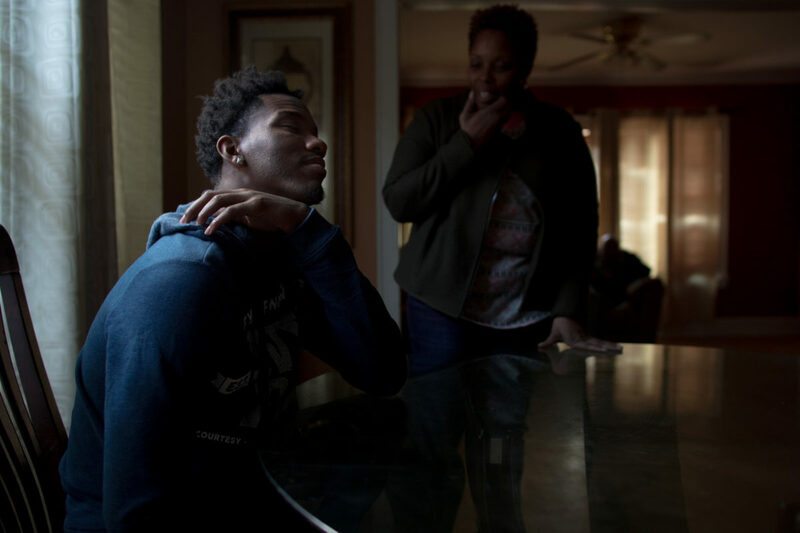 Tavaris speaks with his foster mom, Charlene Burris, in the home she maintains for her biological family. She maintains separate homes for her foster children, paid for by the state, and for her biological children. 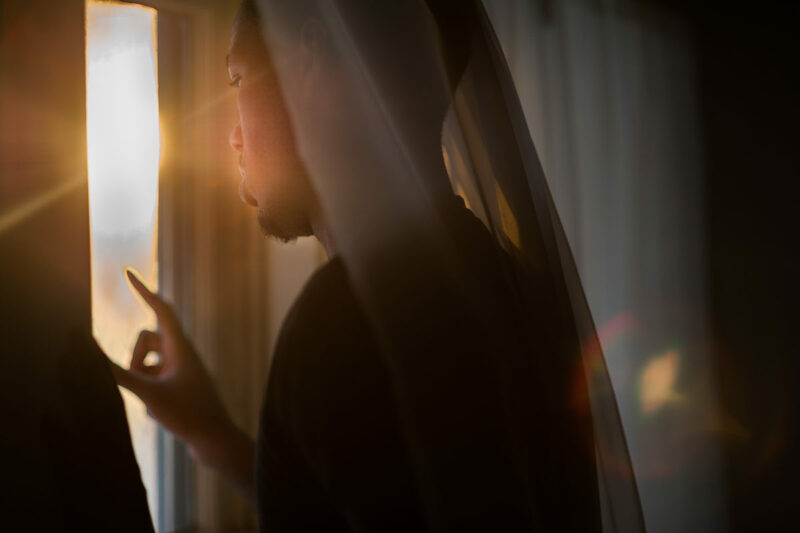 Tavaris has aged out of the foster care system so he can no longer live with her at her at the foster care home, so she has given him a room with her biological family. Most kids in the foster care system do not have the support that Charlene provides for Tavaris. 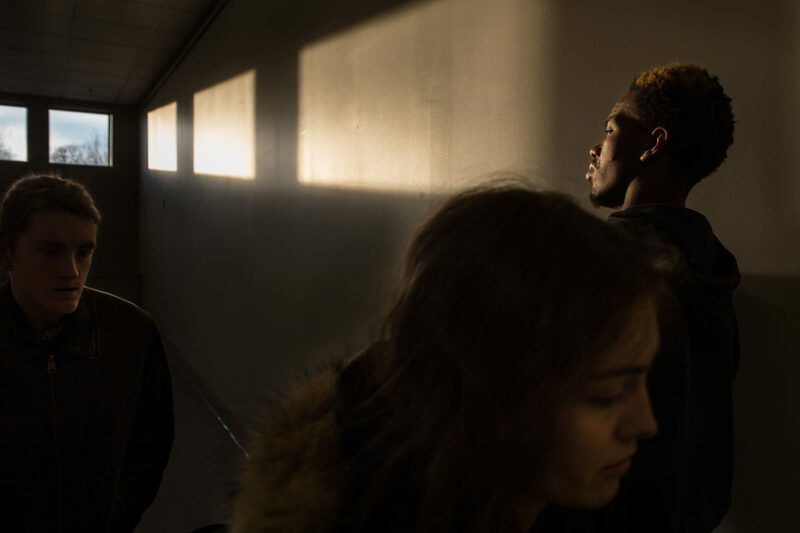 In Illinois, a foster child ages out of the system at 21 and must be completely independent. 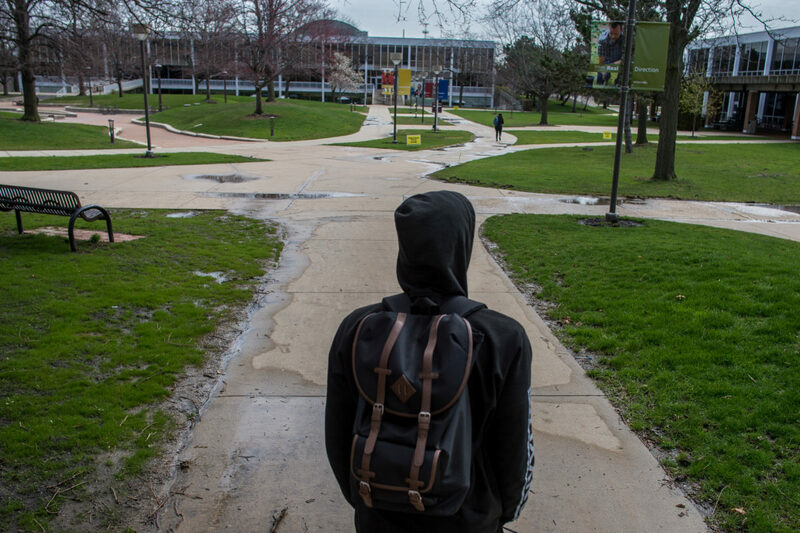 Foster kids in America rarely have homes to return to when they are in college. Dwayne Burris, Tavaris's foster father jokes around with him in the home where his foster mother Charlene's biological kids live. 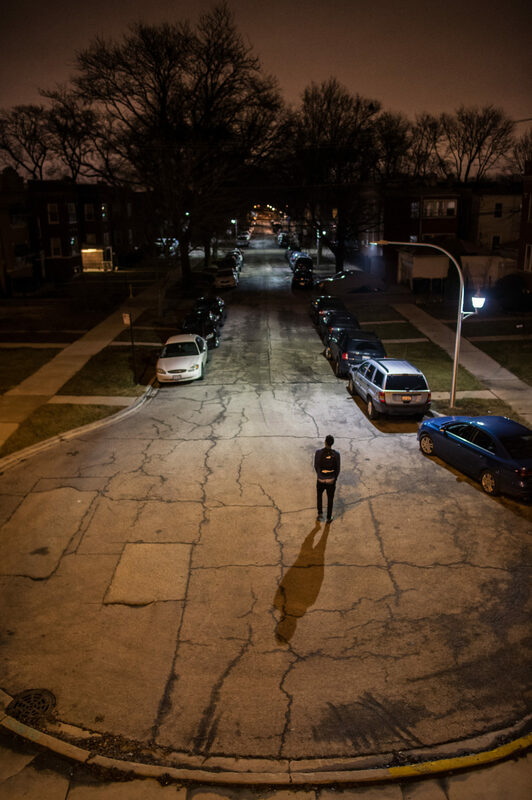 The siren call of the streets, the lure of quick money, is everpresent in Tavaris's life in Chicago. 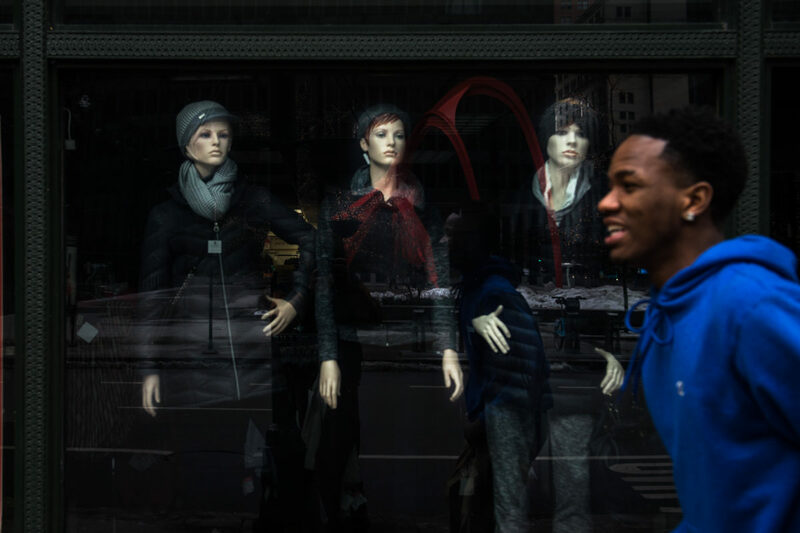 Manequins peer out of a downtown chicago store front. 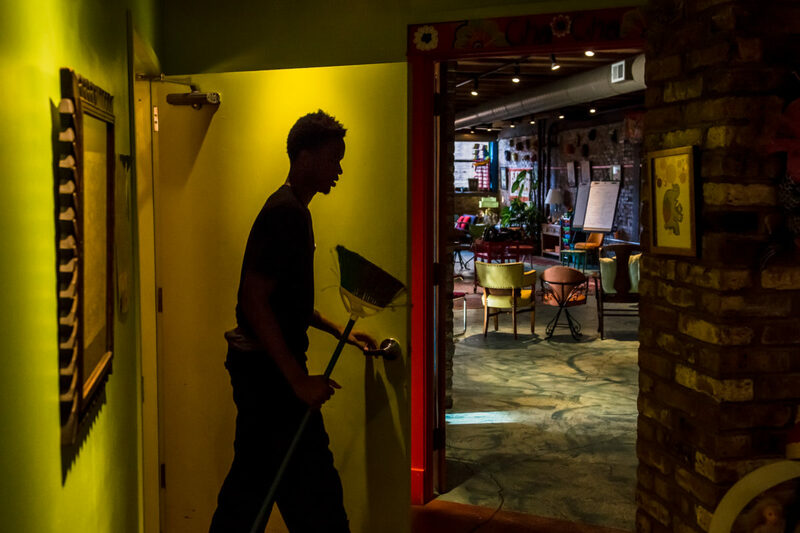 Tavaris prepares to clean up after guests leave the Catalyst Ranch, an eclectic meeting space and event venue catering to businesses in Downtown Chicago. 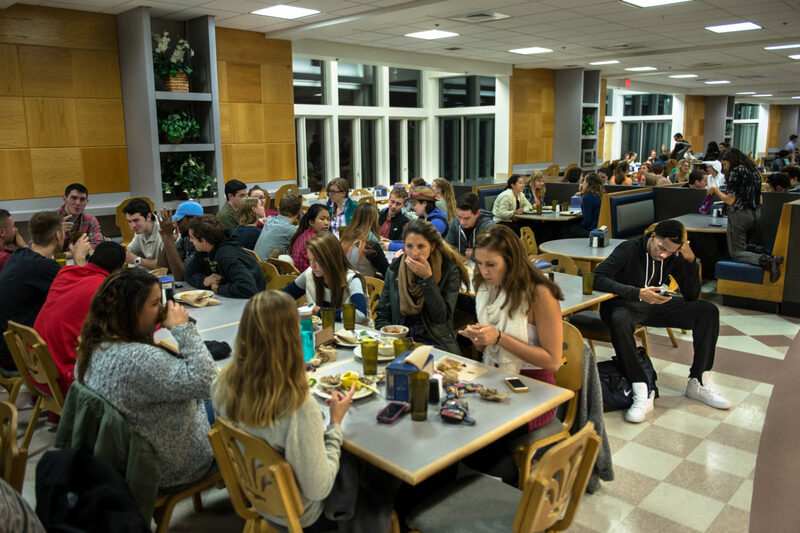 When the summer between Tavariss sophomore and junior years drew to a close, he was surprised to learn that Connecticut College would not let him reenroll. 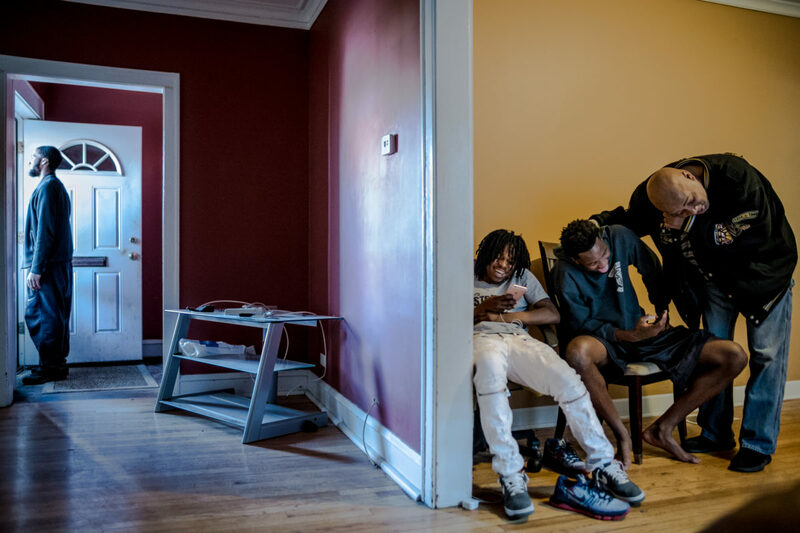 In order to receive his scholarship from Connecticut College Tavaris needed to be on track to graduate within four years. 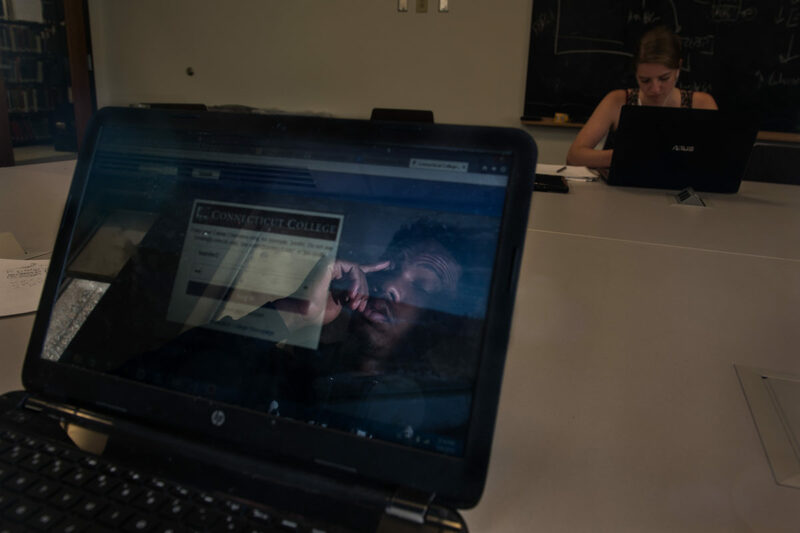 Over the course of his first two years Tavaris had dropped four classes, leaving him 14 credits shy of being on a four-year graduation track. Tavaris dropped these classes because he couldnt handle the course load and feared losing his scholarship over low academic performance. In order to reenroll at Connecticut College, Tavaris needs to make up these 14 credits at a different institution. Tavaris enrolled at Triton Community college in 2017 to make up some of the credits he is missing. 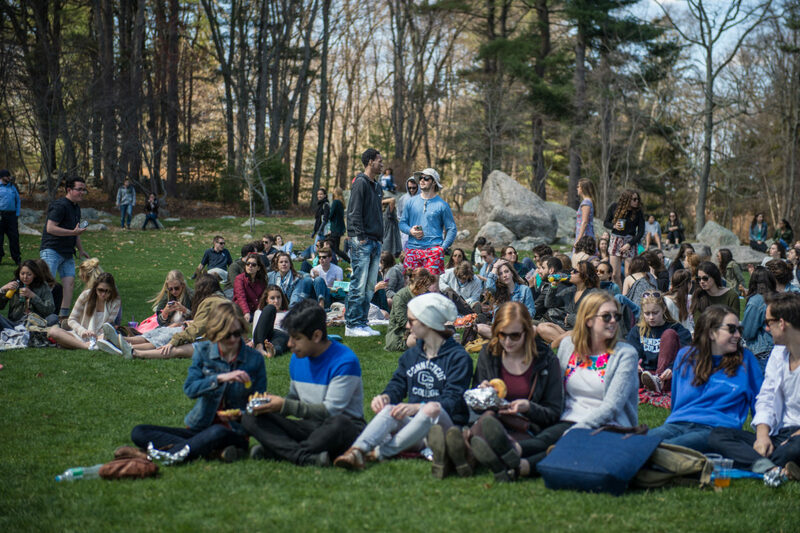 Triton, however, being a community college does not offer the 200 level courses that Connecticut College requires Tavaris take before rejoining. In order to take those classes Tavaris will have to enroll at a 4 year college instiution. Those insitutions are significantly more expensive than Triton, requiring him to save much more money. He still hopes to return to Connecticut College. 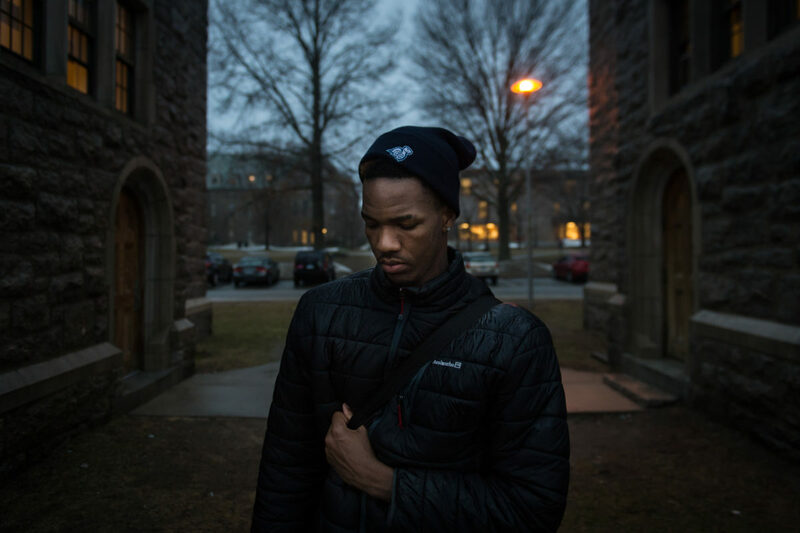 Three Bags Full, chronicles Tavaris Sanders’s struggle to adapt to life as a black man from the foster care system of Chicago, to a predominantly white wealthy school at Connecticut College. 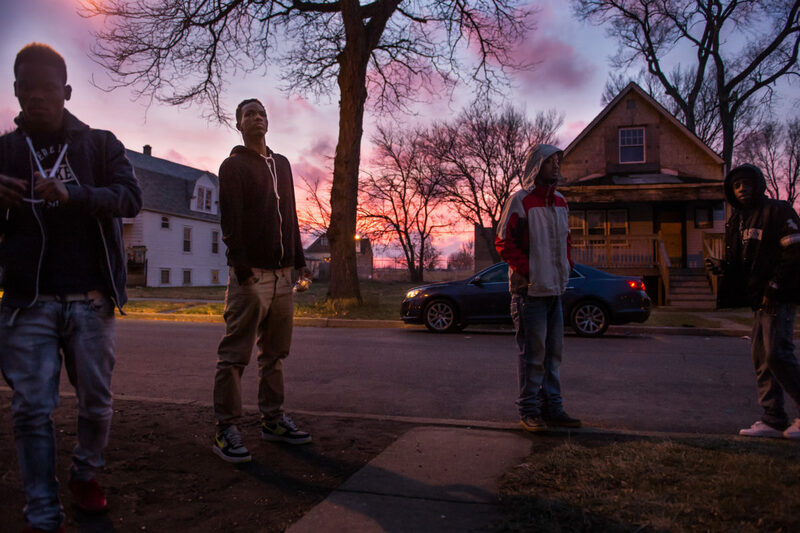 Bootstrap stories tend to reaffirm the mirage of the American dream, ending when the person makes it out of their impoverished neighborhood. Three Bags Full picks up where these stories usually end. 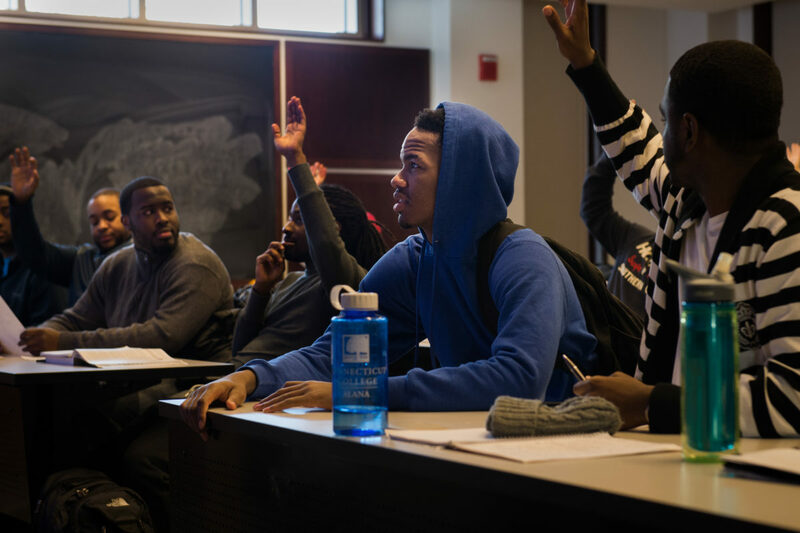 Tavaris’s story shows that upward mobility in America is fraught with economic, cultural, and educational obstacles, particularly for young men and women of color. Tavaris’s agency in telling his own story is paramount, after all this is his lived truth. Therefore he narrates the project, in his own words. 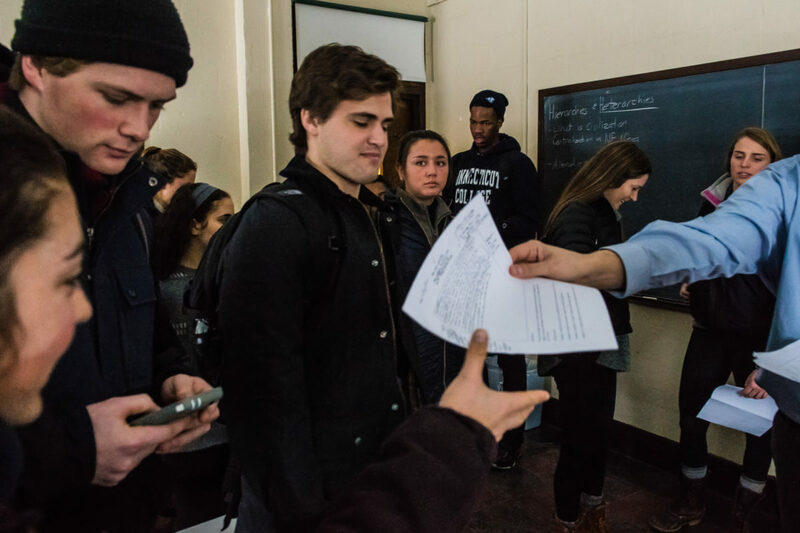 This piece was published in the Chronicle of Higher Education and uses excerpts from a joint interview of Tavaris, which Jonah Markowitz conducted with a writer from the Chronicle, Lawrence Biemiller. “I could just start off with the bad part. 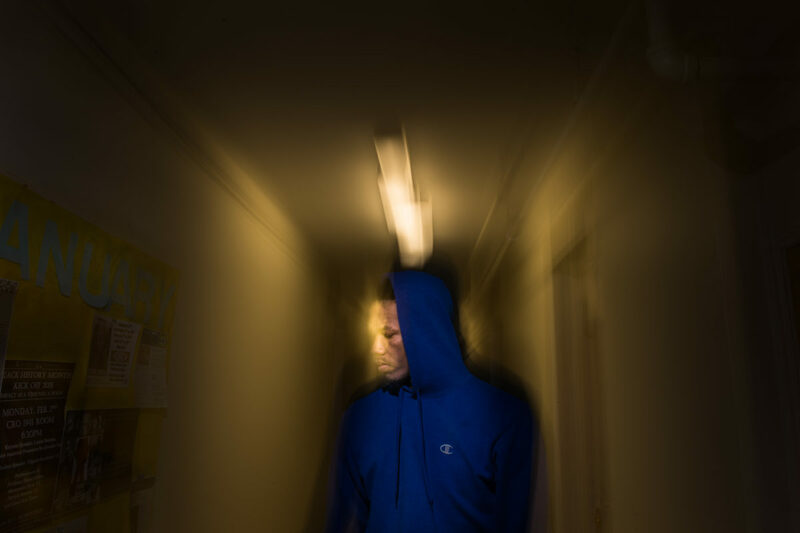 I was in jail for six months — not jail, juvenile. I was 14. I got out and I went to high school and I told myself, I’m gonna rise above what I was doing, which was fighting, gangbanging, the works. I started getting good grades, straight A’s, and ended up having a 4.2 GPA. I was in National Honor Society, student council. I just felt good about myself. 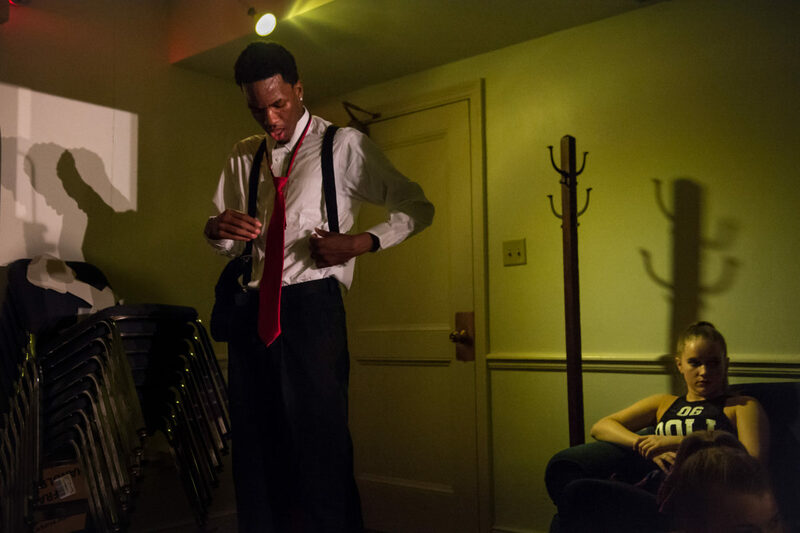 While I was in high school, I was living in a group home because I had no place to go. That’s how I met my mentor, Kim Michelson, and she told me, I see potential in you. You should go to college. So I start applying to colleges. 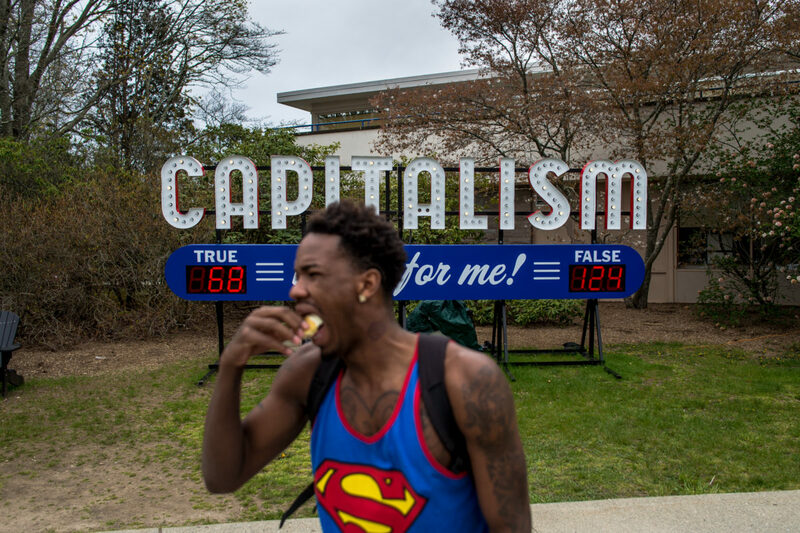 I went to Emory, in Atlanta, for two weeks, and I went to Franklin & Marshall for two days, and I went to Connecticut College for two days.